If an elderly California resident is declared incompetent and placed under a conservatorship (also known in many places as a guardianship), can that senior actually be at greater risk of elder abuse? According to a recent article in Forbes Magazine, conservatorships and guardianships are “ideally a protection for older adults.” However, as the article explains, a conservatorship “is a drastic measure often prompted by warring relatives, nursing homes that want to get paid, or a ‘friend’ who gains the trust of an older adult in order to take advantage of him or her.” While these typically are worst-case-scenario examples, it is important to think carefully about the potential links between conservatorships and nursing home abuse in Southern California. The California Courts make clear that a conservatorship involves an adult (the “conservatee”) who either “cannot care for himself or herself or manage his or her own finances” and a responsible person or entity (the “conservator”) to care for that adult. 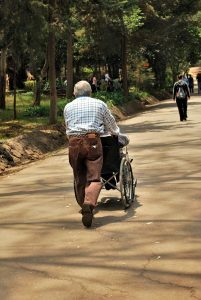 The Court’s website explains that general conservatorships, like the scenario described above, often involve an elderly person. The Forbes Magazine article goes on to clarify that judges order conservatorships and guardianships when a person is deemed legally “incapacitated,” meaning that the person requires another to make important decisions for him or her. In many cases, conservatorships do help elderly Californians who can no longer take care of themselves. However, in some situations, conservatorships may result in claims of elder abuse or nursing home abuse. Think carefully about someone you can trust to be your agent—to speak for you, in effect—in the event that you cannot do so. It may be a spouse, a child, or another family member. Draw up an advance directive, or a healthcare power of attorney. This document will allow you to choose a person (discussed above) to be your agent when it comes to accessing your healthcare records and making medical decisions for you in the event that you become incapacitated. This person can also make decisions about placing you in a particular nursing facility or hospital. Draw up a durable power of attorney. In the event that you cannot make financial decisions for yourself, this document allows you to choose a person to be your agent when it comes to financial matters, including paying your bills and buying items that you require for your care. Know that you can revoke these documents. If you decide you do not trust the person named in your documents for any reason at all, you can revoke the advance directive or the durable power of attorney. If you have concerns about your elderly loved one’s safety in a nursing home or questions about an older family member being placed under a conservatorship, you should speak with an experienced San Diego nursing home abuse lawyer. Contact the Walton Law Firm for more information.